This outdoor space where the one to six year-old child with all their senses learn about life through daily contact with the organic and hard-working activities there, are always in a process of transformation. A little sprout that gradually grows to be harvested and eaten; the caterpillar in the cocoon that becomes a butterfly in early summer. The garden is described in detail in this book as a place of cultivation for the adult educator and a learning environment for the child. Through observing the adult working and caring for the plants and animals in the garden, the child learns about life through their own experiences, as they imitate the purposeful acts of the adults in their play. 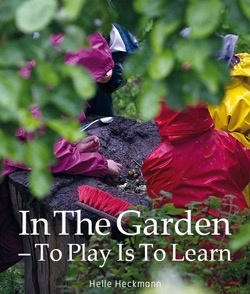 Through the adult observing the child playing, the garden is gradually built up and transformed to be the learning setting that creates the very best framework for child development. 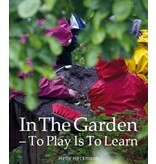 The garden is described as a living, organic space, forming a sounding board for all the processes the young child goes through, in becoming ready to meet life with an essential inner understanding of themselves, as belonging to a world they can actively intervene with, shape, and transform.